The 87,000 sq. 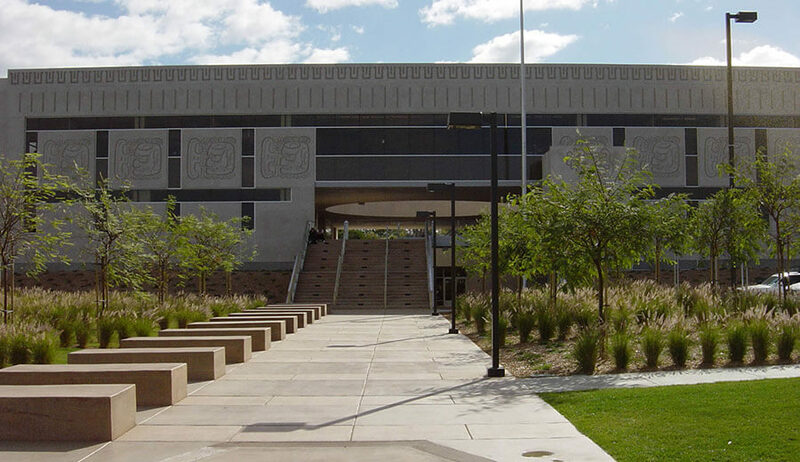 ft. Learning Resource Center project provided a new multi-functional facility with long- distance learning capabilities through a state of the art audio/media package for the students of Southwestern Community College. 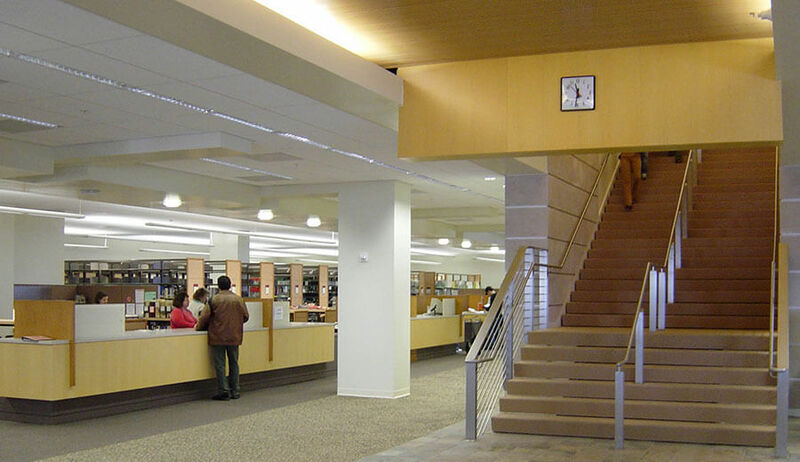 The new Center includes a library with internet access for complete on-line learning services, along with much-needed office space for teachers and administrative staff. 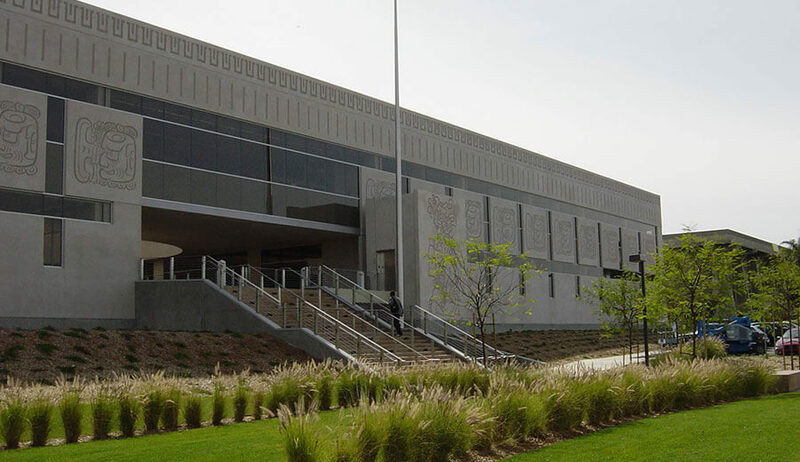 The Center is easily recognized with its ornate imported French limestone exterior cladding. 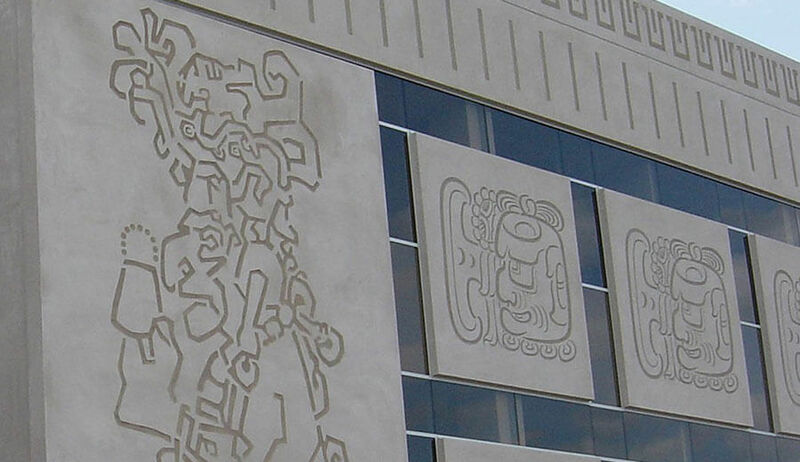 The building reflects a Mayan architectural theme with thirteen oversized, replicated hieroglyphs along the upper floor of the building’s primary focal (north) facade. The three-story structure is built on 80 auger cast concrete caissons with first-floor cast-in-place concrete walls and a structural steel main frame. 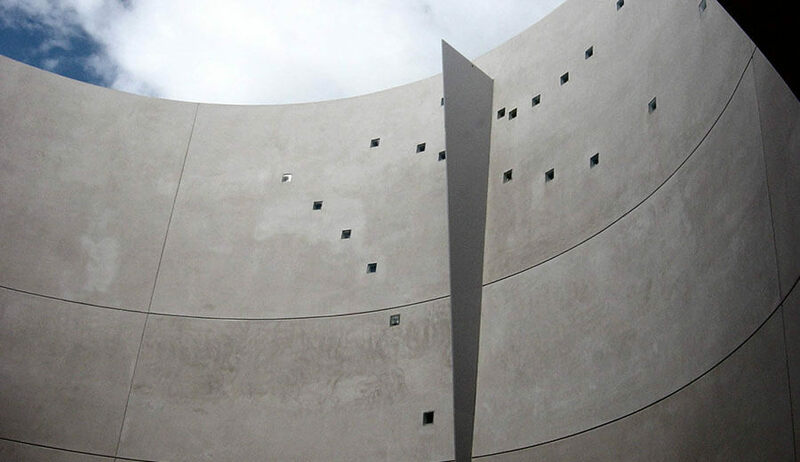 The entrance to the center building reveals a dramatic and imposing 50-foot-radius circular opening that juts upward to the sky through two stories and exposes a huge sundial built into the side of the building. The new Center is home to the Audio/Visual Department and includes new camera rooms and a large television broadcast studio. The facility also includes 200 computer stations in semi-private cubicles for student use. 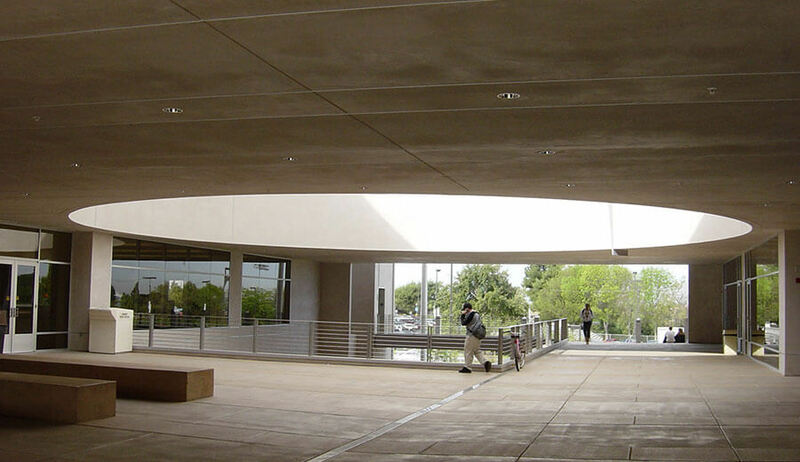 Exterior site features include stamped, colored concrete walkways, covered seating and low-water use landscaping.